Inky Paws Challenge: Inky Paws - Birthday Challenge #22 - Winners! Inky Paws Challenge #22 Winners! Thanks so much to everyone who entered our last Inky Paws Challenge at here at the Newton's Nook Designs blog! This months Challenge was a Birthday Theme Challenge! We had a TON of awesome birthday cards entered into this challenge! THANK YOU to everyone who entered! All the beautiful entries always make it SO HARD to choose the winners! Our first winner is this beautiful one-layered birthday card by Heidi! We love how she did a ton of creative masking! She masked the kitty's shirt from the Newton Dreams of Paris stamp set and also added a birthday hat! She added in the cute party banner and birds from the Winged Wishes set too! Such a fun birthday scene! 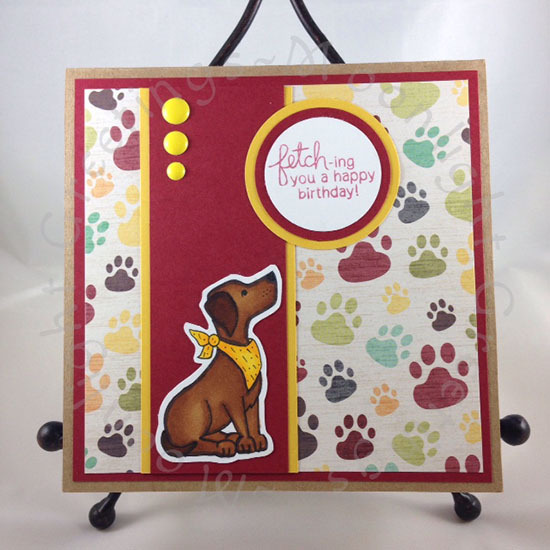 Our Second top pick is this gorgeous birthday card by Ka at Stamping Smiles Design. 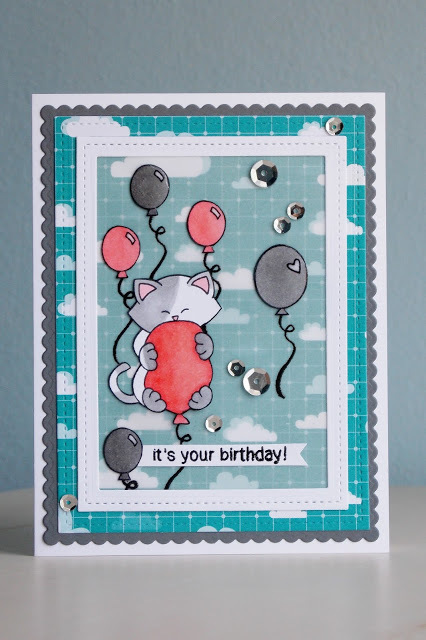 She used balloons from several of our sets to create this fun birthday sky scene, with the kitty from our Newton's Birthday Bash Stamp set as the main image! Super fun! Congrats to Heidi and Ka! Don't forget to send us an e-mail at info@newtonsnookdesigns.com to claim your $10 store credit and get your winner badge for your blog! 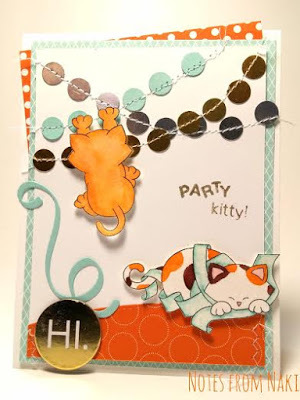 Naki created this fun birthday scene with two kitties using our Naughty Newton stamp set! I love how she changed the "toilet paper" into streamers - such a fun idea! The vibrant coloring on this card by Melissa caught our eye! We love that bright orange kitty with the two-toned feathers and the fun bright background paper too! Such a cheery Birthday card! She used our Newton's Birthday Flutter stamp set! We also loved the coloring of the dog on this card by Moonlight Greetings! She did such a fun job shading on the labrador image and we love the added details on the bright yellow scarf! She used images from our Fetching Friendship stamp set. Thanks again to everyone who entered - It's really so much fun to look through all the entries and see everyones ideas! If you didn't win this time we hope you'll play along again next time! Save the date: the next challenge will begin on July 24th.